Great location, very clean, nice and spacious, short walk to the beach and groceries. Helena was very pleasant. We would definitely stay there again! Thank you for choosing our apartment with fantastic sea view for your vacation, as been great to have you with us. Appreciate also your comment and I hope to welcome you at the next opportunity. Lovely apartment, photos do not do it justice. The apartment itself is nice, views are fab, the pool was clean and not too busy. Thank you for your comments on my apartment is very important for me. I will make new photos with a professional and give it the justice that the apartment deserve. The apartment was amazing, it had more than you needed and spotless. Helena and her sister were so helpful, nothing was too much of a problem. Very well situated for all amenities. Would not hesitate to re-book. Its a pleasure for us when our guests apreciate the efford that we do to make you feel at home with all the comfort that you deserve. 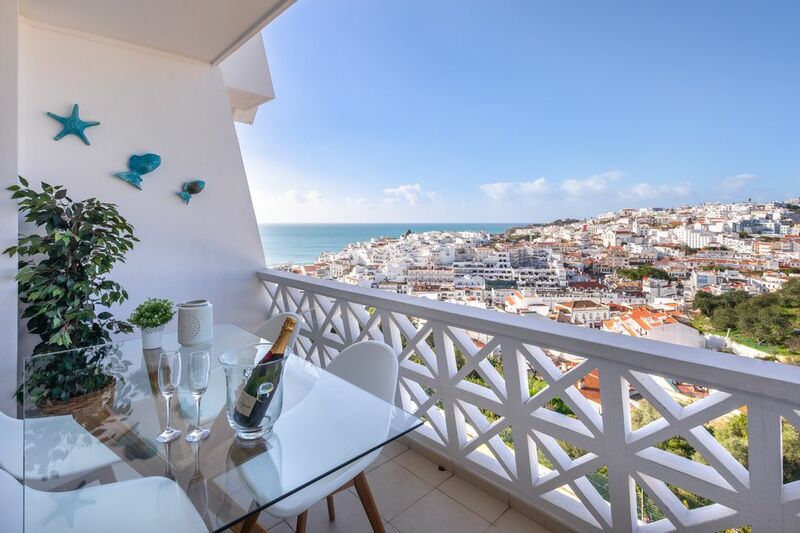 "Very good apartment with a beautiful view to the beach and to the old Albufeira. The city center, shopping center and the sea are between 5 to 10 minutes by foot. The town is ok but a bit too touristy, so it's a bit difficult to find good restaurant,..."
Appartement bien situé , bien entretenu, assez grand, parking devant résidence.